codhexi allows you to convert a hexadecimal hex code with an integer int. If the number is more than 2 147 483 647 write in double. 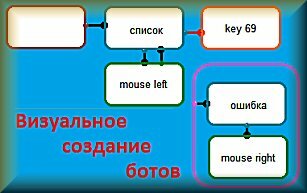 (для просмотра ссылки Вам необходимо авторизоваться) ..
the second is the number of bytes in the array that are converted to a number. Warning - in the process memory, bytes are read from right to left. codhexi , as well as (для просмотра ссылки Вам необходимо авторизоваться) and [ codhexd [/url] is specially sharpened for convenient use for working with processes, therefore in the char array after reading from the process it is not necessary to overturn bytes. Processing is already right from right to left. However, if you need to use codhexi for the usual conversion of hexadecimal to decimal, you must reverse the hexadecimal bytes. not as we write in the calculator. For example, if you type such a hex code 5E A8 1C in the calculator and convert it to a decimal number, you will get 6203420 .